Finally, IMF economists agree that there is a way governments can incorporate virtual currencies in their economies. Any assimilation would be an endorsement that would see prices of digital assets including XRP claw back losses. The global economy is yet to recover from the GFC of 2008-09. With trillions gone down the drain, Satoshi took advantage of this mayhem, releasing an alternative. 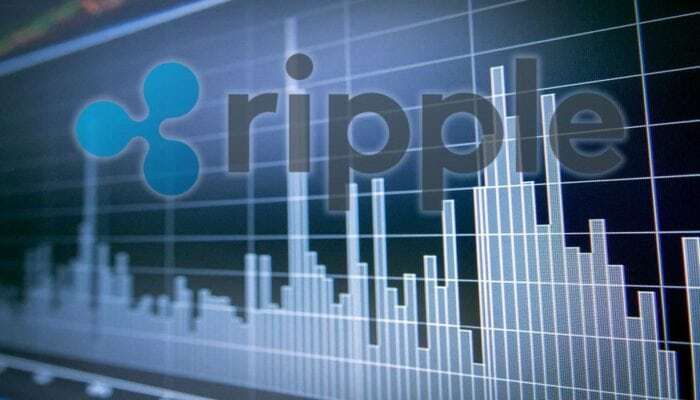 Soon after, Ripple Inc rolled out a blockchain based system that banks can use to move value instantaneously in a trustless environment. Strides are visible. After yesterday’s slide, XRP prices are back to positive territory, rejecting lower lows. In an effort versus result point of view, this is bullish, and as mentioned before, every dip is technically a buying opportunity. It is easy to see why. From the charts, it is clear that bears did struggle to reverse gains of Jan 30. Behind their consistency were below average volumes paling in comparison with those of Jan 30’s 47 million versus 17 million. Considering our position, it is likely that the double bar pattern of Jan 29-30 will be confirmed. That means rejection of lower lows and reversal of Feb 6 losses. 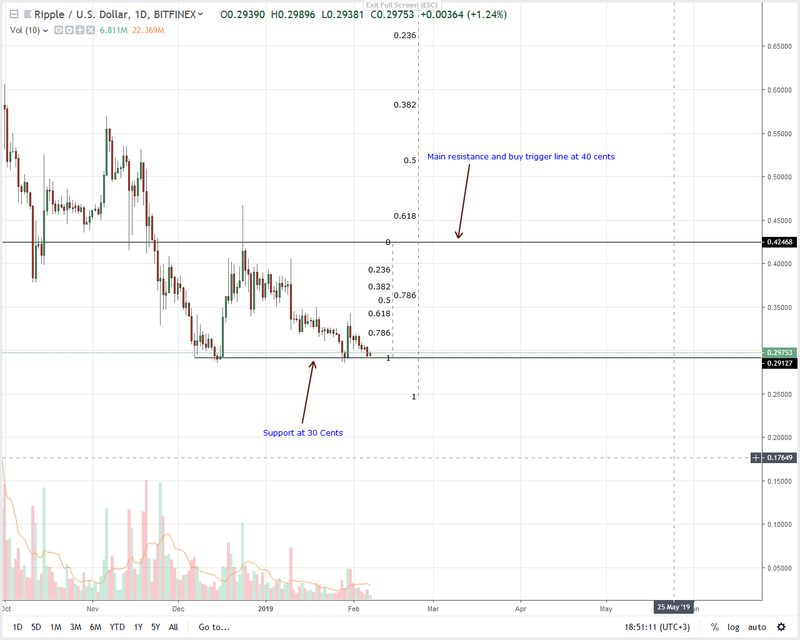 After that, it will be a matter of time before XRP will surge past 34 cents triggering longs. 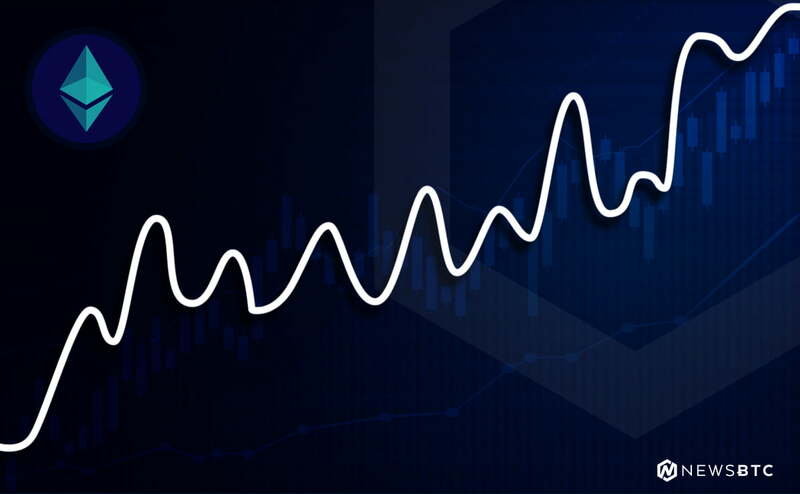 Volumes are low and marking trend resumption will be a spike in market participation driving prices above the 61.8 percent Fibonacci level. Ideally, volume accompanying this uptick should, first of all, exceed averages of 17 million and 47 million of Jan 30.